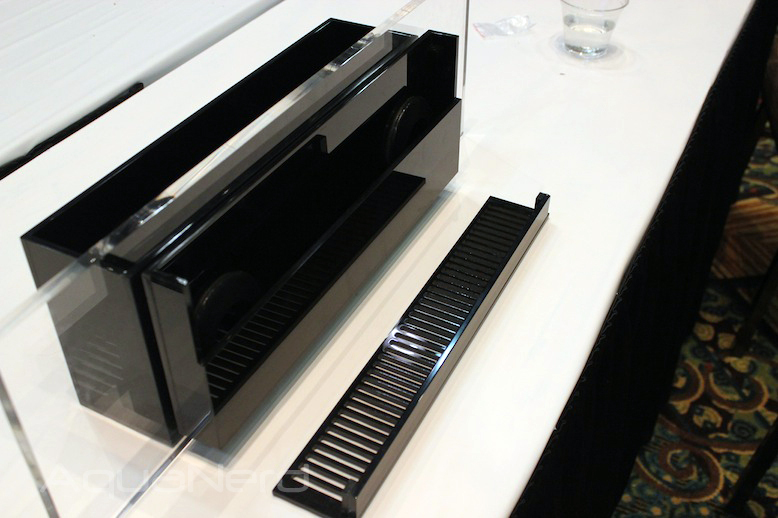 One of the best new products at MACNA 2013 wasn’t an LED fixture, but an overflow box. 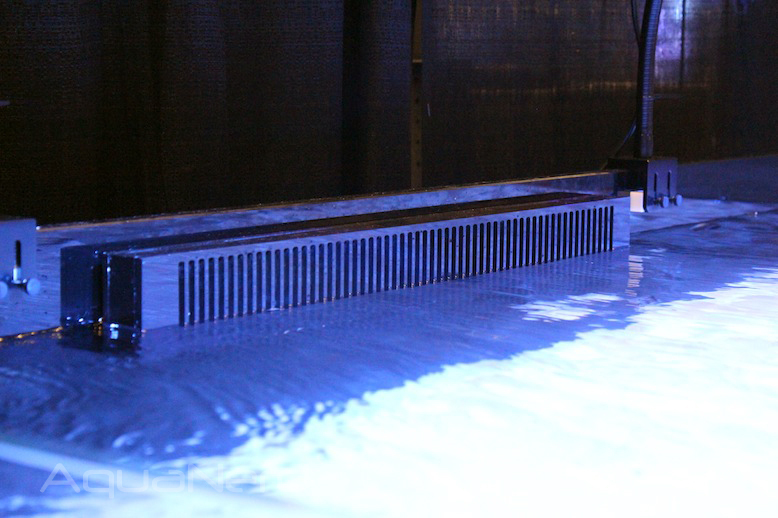 Reef Savvy’s Ghost Overflow isn’t even close to being your typical external overflow box. It’s truly unique and has all sorts of practicality built right in. 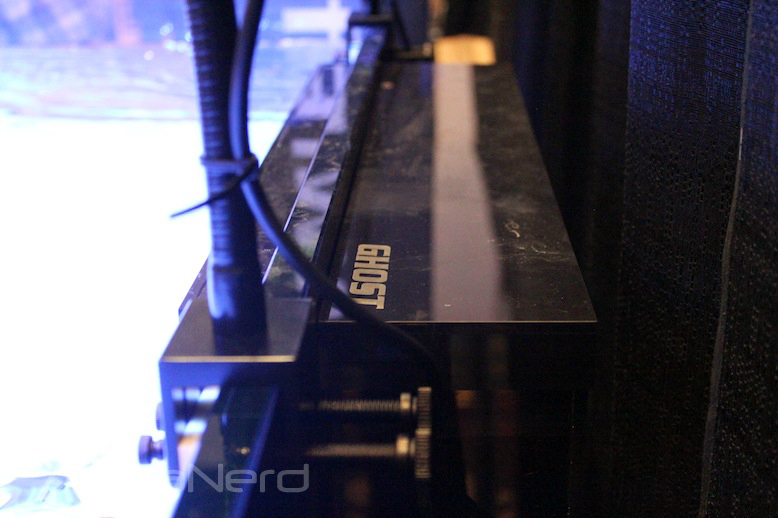 The Ghost Overflow attaches to the aquarium with a pair of massive 2″ bulkhead fittings, with 1.5″ plumbing running from it into the sump. 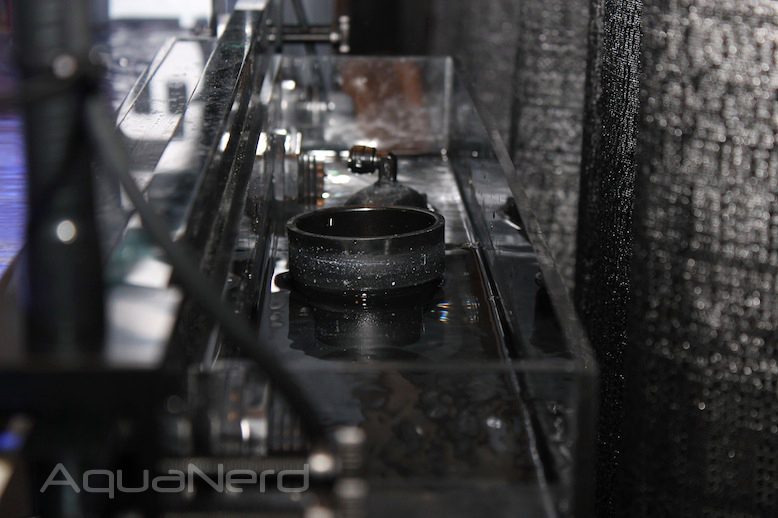 A total of three drain lines fill the external chamber of the Ghost Overflow, one of which is a “J’ drain, one is a partial siphon, and the other an emergency drain. 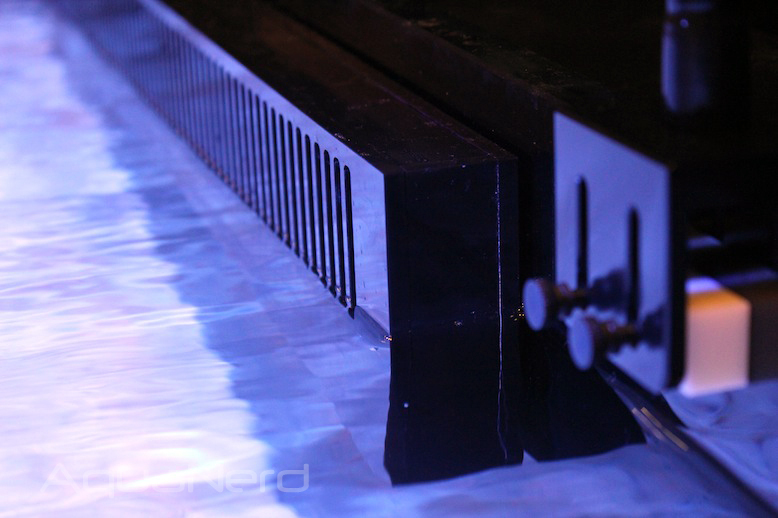 While all of those are top notch features that can handle massive water flow, those aren’t even the best parts. It’s the overflow teeth that have us all excited. Unlike any other overflow box on the market, the teeth (or grill) of the Ghost is removable, which makes cleaning those gunk collectors a total breeze. But Reef Savvy didn’t stop at just making the grill removable, they also tossed in a couple of magnets to hold it in place while the tank is running. The external chamber of the Ghost, where all of the plumbing is located, has a removable lid, though it isn’t held in place with magnets and it honestly doesn’t need to be. Because the Ghost has such large plumbing, it is rated to handle up to 4000gph, though a Reef Savvy representative said that this was a fairly conservative number. They fully believe that it can handle 5000gph, but for the sake of not wanting customers to push it to the limit, they rated it at a lower number. 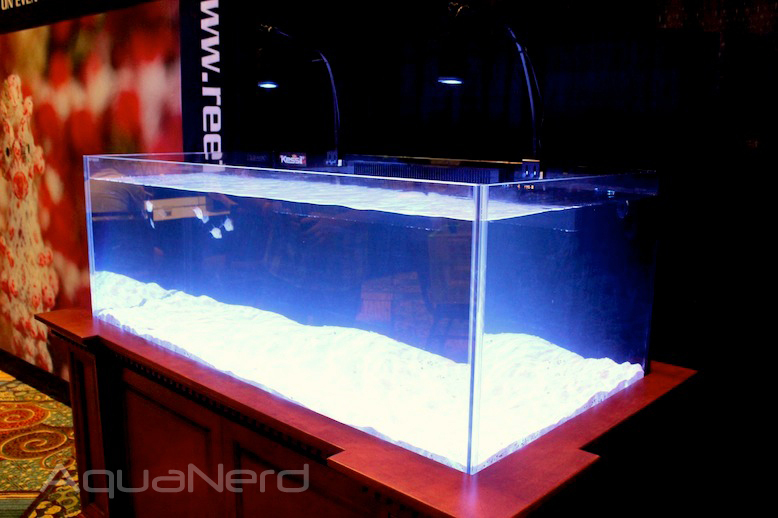 The price for the Ghost Overflow will be around vary based on size, but it will likely be a feature that adds something north of $200 to the price of your custom aquarium. Fortunately, that price includes all of the plumbing needed to get up and running. That last major selling point of this unique overflow box is it’s extremely minimal profile in the aquarium. 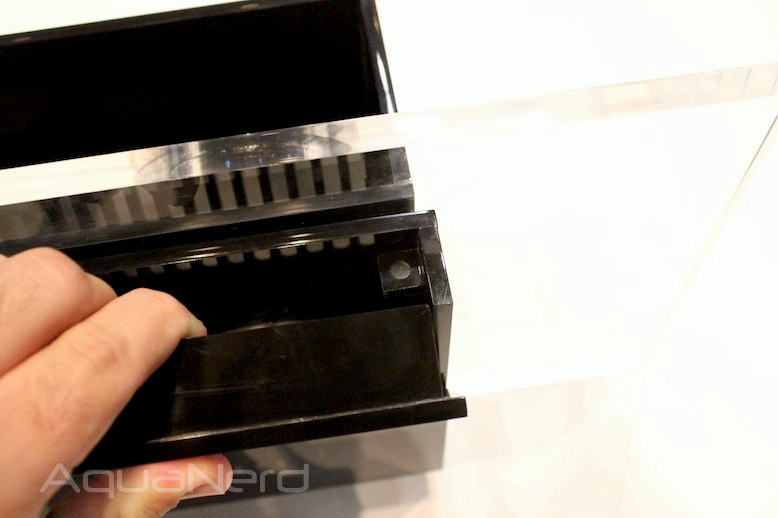 The intake box is super thin, only a couple of inches in fact, which is great for hobbyists who try to avoid that big shadow that some internal overflows create. do you have to drill your tank? Yes. It requires 2 holes for 2″ bulkheads on the 24″ version or 2 1.5″ holes for the 16″ version. Yes, for two 2″ bulkheads. Great write up! Glad you like it! Tempered glass will usually have a bright colored warning sticker “Do not drill” if you’re not certain, you can always contact the manufacture and they should know if and what panels are tempered on their tanks. There are other ways to tell if it is tempered, but this would be best left to a professional or glazier. If the aquarium is small enough you can always take it down to the local glass shop and ask. A pair of polarized sun glasses and a light. If you glance at the glass with the glasses on at an angle, you will see black lines if it is tempered. I’ve seen tanks with this type of overflow in the past and was considering making one for my next tank. Great idea but I still prefer a full external overflow. Thanks for the great article Brandon, we’re thrilled about the response we’re receiving. Nowhere in your explanation there do I see anything about creating a low-profile in-tank overflow or a magnetic weir. The only common ground is the 3 pipe set up, but that’s not what makes the “ghost overflow” special. Pasquale, that would be fine if it weren’t for the fact that the major selling point is the silence, safety and flow rate that that the “ghost” is sold as providing. While you can order it or set it up without the BeanAnimal standpipe system, it then only becomes a low profile overflow without the very benefits (high flow, silent and safe with no adjustment) it is sold as providing. It is amazing how intellectually dishonest some folks can be to justify their own uninformed opinions. All “systems” are built from basic building blocks. In this context, ALL aquarium overflows use the same basic set or subset of building blocks (weirs, siphons, open channels). The novelty is derived from the way those blocks are arranged and designed to interact as a “system”. My system is not a “herbie” and not copied from a “herbie”. The operational mechanics are vastly different both in normal operation and in failure modes. Moreover, I participated in the original “Herbie” discussion where I clearly pointed out his (and many other contributors) misunderstandings of open channel vs siphon flow and the failure modes of regulating a drain by restriction without a backup, as well as the instability of such a system. In context to THIS thread and the “ghost” overflow, the hydraulic function and subsequent benefits of the overflow have been presented as reef savvy’s designs and they are not. Conceited, no Dan I am just tired of folks like yourself who flap their gums without having any clue what they are talking about. Except that I do know what I’m talking about, and you know nothing about me. I read much of the original thread by Herbie from 2004, and it’s clear that his design is, in fact, where you get much of your own slightly different overflow design. The operating mechanics of your design are not so vastly different as you say. Don’t get me wrong, your design is very good. I don’t need to know anything about you to respond to the comments you posted. You openly attacked me on a public blog and stated that I copied the work of another, something that is simply not the case. You state you understand the operational principles of both designs. If that were, in fact, the case then you would understand one is not a copy of the other. So Dan, that leaves us with your comments regarding engineers and how they piss you off. Well I suppose if you address them with insults and baselesly accuse them of copying other’s work, then you piss them off too. I posted here because I am directly involved by context. You posted here for the sole purpose of attempting to discredit and insult me. In the end, it is pretty obvious that your the conceited party with something to prove. Given your desire for giving “credit where credit is due” (your words), it’s rather ironic that on your website, there is not one mention of credit given to Herbie’s design. Intentional? It would be safe to infer that because I am the author of the content published on my website, the copy and its context are intentional. That would imply that if there is or is not credit given to a particular party then said credit (or lack of) is intentional. See my initial response to you if you are still confused as to why my design is not credited to Herbie. Irony? Yes Dan, there is a load of irony in this blog thread, but I am guessing, like the conceit charges, you have no clue of the true source. Frankly Dan, looking at the big picture here, you come across as a bit unhinged; so angry and invested in something that has nothing to do with you. OK, to summarize: you intentionally did not give Herbie credit on your site. Got it. Thanks. Not angry or unhinged, just pointing something out. I think we’re done here. Your presence here has been solely for the purpose of humiliating (your words) me because you feel that I am conceited and (implied) dishonest. Your tone has wandered between anger and feigned kindness as you have flung your insults, called your names and leveled your accusations. Now your back to the passive part of passive-aggressive, but you have failed to substantiate your point or discredit mine in any way. Dan, I am plenty of things and far from perfect, but dishonest and conceited are not on that list. As you so adeptly pointed out, I have been participating in this community for over 10 years and in that time have interacted with many thousands of wonderful people. Thank goodness (for all of us), that jerks like you are a rarity that I (we) only have to deal with occasionally. herbie has been around 4 more years..